England U20s have named their 32-man Elite Player Squad for the 2017/18 season. The squad, which will compete in the 2018 Six Nations as well as the World Rugby U20 Championship in May, will be led by Steve Bates and fellow coaches Anthony Allen, Richard Blaze and James Ponton. Of the 32 players, 14 have already been capped at U20 level with several a part of last season’s Grand Slam winning side. Eight members of the England U18 squad that toured South Africa in the summer have been selected with Joe Heyes, Beck Cutting, James Scott, Josh Basham, Sam Moore, Tom Willis, Tom Seabrook and Fraser Dingwall all included. Marcus Smith, Nick Isiekwe and currently injured Tom Curry, who are all still eligible to play for the U20s, are not included due to their involvement with the England senior squad. 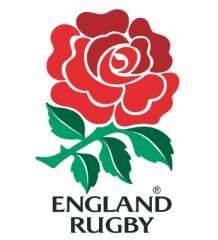 England open their U20 Six Nations campaign against Italy (2 February) before a home game against Wales in Newcastle (9 February). 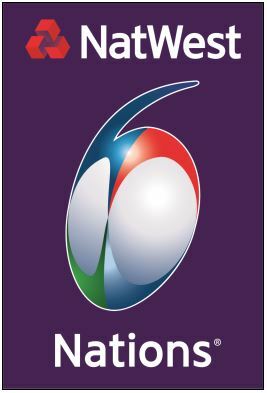 They then play Scotland in Edinburgh (23 February), France in Beziers (9 March) and will end their campaign against Ireland at the Ricoh Arena in Coventry (16 March). The squad will come together for a training camp at Bisham Abbey Sports Centre from 7-12 January before the Six Nations begins. Anthony Allen, Richard Blaze and James Ponton have joined the U20 set up as part of the coach development programme agreement signed between the RFU and Premiership Rugby. Head coach Steve Bates said: “By naming the squad in January we’ve been able to pick players who have been performing well in the first half of the season. We have some injury issues but I think we’ve got a really exciting squad with players who have played a good amount of rugby. “I expect us to be physical, uncompromising and we’ll play high-intensity, high-tempo rugby. We’ve got some very exciting young backs so if we can create some space for them we’ll be a threat. That is what we’re concentrating on. “We’ve got some talented guys who will push hard to make that step up to the senior side in the future and that shows the strength of the pathway. We’ve had a wider group of around 60 players that we’ve cut to 45 and now 32.